Whitening your teeth can transform your both your smile and your confidence. 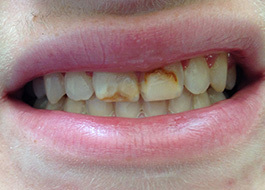 It is a bleaching process that lightens discoloured teeth, often as a result of age, tea, coffee, wine, tobacco and trauma. By using the latest whitening techniques we can ensure a safe, reliable and amazing result. People often get their teeth whitened for an important event, such as a wedding or important work occasion, or simply to boost their day-to-day confidence. Teeth whitening is an effective method of lightening the appearance of your teeth, without removing any of the tooth’s surface. In most cases the tooth’s shade is ‘whitened’ to a more desirable, lighter shade, rather than being made completely white. Many view over the counter home tooth-whitening kits as a quick fix, however dental professionals do not recommend them, as they are not always assessed for safety. They can be too abrasive and cause stomach problems, mouth infections, toothache and damage to the gums. In Europe whitening can only legally be carried out by a dental professional. At the Prestwood Dental Health Centre we use the number one product in whitening: Enlighten. Using Enlighten the results are fantastic. We will take some accurate impressions and make the Enlighten whitening trays for you to wear for two weeks overnight at home. We provide you with the unique Enlighten desensitisers and Tooth Serum to make the whole process as comfortable as possible. If all instructions are followed, we can guarantee an amazing result. If you have chipped and discoloured teeth and are unhappy with how it makes you look, it can affect your confidence and self-esteem. Porcelain veneers are one solution that can transform your smile. If you are looking for exquisite, natural looking veneers then look no further than the Prestwood Dental Health Centre. 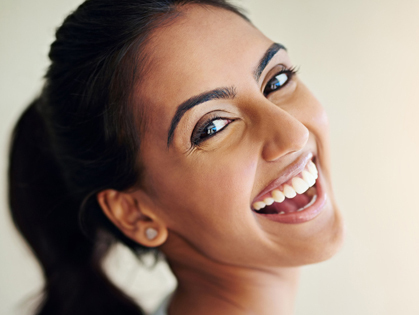 Many people who are self-conscious about the appearance of their teeth find that veneers provide a boost to their self-esteem, enabling them to smile with confidence! They can improve the colour, shape and placement of your teeth. 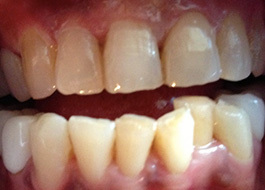 Veneers can seamlessly disguise a cracked or chipped tooth and can be used to close gaps in the teeth. Sometimes teeth need to be prepared for a veneer. A very small amount of outer enamel surface may need to be removed in order to make sure that the veneer can be bonded in place properly. 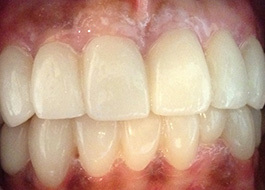 Once the teeth have been prepared, the dentist will take a mould of your teeth in order to make your bespoke veneers. Before bonding the veneers in to place, our dentists will show you how they will look in order to make sure that you are happy with the appearance. The veneers are then attached to the teeth with a permanent adhesive, which will ensure that the veneers last for many years to come. 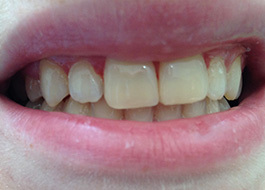 Componneers are pre-fabricated veneers made out of a composite material. We simply pick your shape and size, decide on a shade and start bonding them on your teeth, by cutting out the laboratory stage this procedure costs less and you can have a dazzling smile in one session.